To a maths teacher, or a pupil who achieved old-money KS2 level 5 in maths, these are utterly trivial questions that require barely any conscious thought. Yet to any pupil who finds maths difficult, these questions can be bewildering. On the surface they are all the same process – ×100 – yet the process performed on each number looks radically different. Take question 1: 3361 × 100. Simple, right? Put an extra two zeros at the end of the number, and it’s right. But apply that process to questions 2, 3, and 4, and you’ll get it totally wrong. Question 2: 3.361 × 100. Similarly simple: all you have to do is move the decimal place two places to the right . But in question 3, the decimal point has disappeared altogether in the answer – where’s it gone?! Then over to question 4 and 5, and two weird things happen: whilst the decimal points have moved as expected, a zero has disappeared from the left of the number, whereas in question 5, a zero has appeared on the right of the number. If 3.361 × 100 = 336.1, then 336.1 × 100 = 3361 . Of course pupils find it bewildering. I’ve started to think that this topic is a great example of mathematical grammar, and as such, requires a specific form of teaching for pupils to learn it well. What do I mean by this? And how can we help pupils get it? In September I started teaching at Michaela. What drew me there? The first thing was Michaela’s mathagogy. 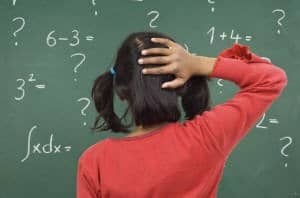 Over the summer, I reflected on my experiences as a maths teacher in the series ‘Is this the best we can do? Doing better’, looking at issues with UK maths education such as work ethic, textbooks, pedagogy, subject knowledge, expectations, behaviour. Much of the inspiration from this series has come from Michaela teachers. (I didn’t quite write all the posts I was intending to write – but I’m hoping to finish off the series, especially in light of my experiences at Michaela, trying to put some of these into practise.) I’ve been eagerly following Michaela blogs since the school started, and found myself nodding along to(/exuberantly absorbing) many of their thoughts – for example, on recall, or the foundations of teaching problem solving; or teaching efficiency in strategies; or on making textbooks. So it felt like a natural fit. And then I visited. Watching one of the maths team teach an hour of maths was one of the highlights of my year, and that one hour hugely transformed my own teaching practice when I returned to my previous school. (To list a few things, I started speaking much faster in lesson, expected 100% attention, encouraged pupils to take more responsibility for their results, heightened my own expectations, and showed my own personality more. All from watching her for an hour!) I knew I wanted to work there. More than that, I knew that I couldn’t bring about my thoughts on maths education all by myself – such as making textbooks, or setting daily homework, or regular testing – but Michaela seemed to be doing it all, and more, already. Those things drew me to work there. I’ve been there for a month. How has it been? Here are some reflections. Respect in a profession is not the most important thing. Take rubbish collectors and lawyers, for example. Many jobs are not particularly respected – they may even be looked down upon – yet they nonetheless play an important part in society. They may even be relatively well compensated. Nonetheless, respect is important. A respected profession is one which attracts high quality applicants. Given the teacher recruitment problems in the UK, it’s worth thinking about respect for the profession. It’s also worth thinking about respect for the sake of well-being. Teachers are demotivated. While there are a huge variety of causes for this, a sense of general respect in teaching would undoubtedly help. So, how respected are teachers? I attended the Michaela debate on Saturday 23rd April. The debate on ‘No excuses discipline works’ had me thinking the most, with the barrister-esque Jonathan Porter speaking against the wise and fatherly John Tomsett. It was a brilliant debate. They have both since posted their transcripts online, and other prominent bloggers who were present have offered their responses; this has in turn produced a lot of reaction from people not present for the debates. All this has shown sharp divisions in the first order debate: people’s opinions and interpretations of ‘no excuses’ discipline and what it means. Yet it’s clear from the sharp divide that there are serious second order issues: what a behaviour system is for, and what values ought to underpin it. So, you’re convinced of the worked example effect, and you use it in lessons with great regularity and regular success. Yet have you ever worked through an example only for your students to be completely flabbergasted? and I duly worked through it, rearranging 2, substituting into 1, reminding them of how to expand a binomial squared, expanding and simplifying and solving and then finally substituting again. In fairness I should have stopped much earlier, from the puzzled sounds that were emanating from the class. But it soon became clear from questioning that students had absolutely no idea what had just happened. The problem: total cognitive overload. Whoops! I tried to start again, emphasising each step, but I had lost most of the class’s motivation, and we duly went back to revising quadratics and simultaneous equations. This was the first slide – and it was very easy compared to lots of the questions in our starter. I picked a student to solve it for the class, and she quickly did. This was slightly more complicated, but again within the reach of the class. I again picked a student, asking what was different, and then asking them to solve it. However, upon rearranging, many students immediately recognised that it led to the same problem as before, and so we already knew the solutions. Quadratic simultaneous equations – finally, our new bit of learning. I introduced the concept of expression substitution to them, and showed how it worked, and the resulting equation that formed. And once again, to no-one’s surprise by this stage, we were led to exactly the same equation that we had had in the previous slide. As a result, the rest of the process was trivial – I simply told them to ‘solve the remaining equation as we just did’, flicked back each slide (where we’d solved each problem on the board), and students knew exactly what I meant. I then immediately went back to the first slide, and the solution we’d arrived at there, and asked if that was the final answer. Impressively, a large number of students were able to immediately identify that we had to solve for y as well. It was clear that this method of explaining in reverse had avoided the catastrophic working memory overload of my first attempt. And, when it came to trying problems, the entire class (ranging from predicted grades of Cs to A*s) were able to solve at least several problems successfully. These two experiences couldn’t have been more different. The only difference was the un-intuitive – but highly successful – reverse ordering of my explanation. Like many good ideas, I originally encountered this from Kris Boulton, who used it in the context of linear simultaneous equations; I’m blogging about it just because I haven’t seen it mentioned anywhere else, but it’s been massively helpful to me in this instance and several others, and I’ve wished I’d used it more in other topics. In worked examples, focus attention and cognitive load, as far as possible, on the new concepts/processes/facts that you want pupils to learn. Recognise that if a worked example contains parts that pupils are already familiar with, it nonetheless contributes to cognitive load, and thus may hinder their ability to grasp what’s new. Therefore, if a worked example involves steps that utilise lots of other previously-learnt things, work through the problem in reverse, establishing the most basic steps before you move onto what’s new. In the example above, the new concept was of substituting between equations, and the rest of the example reduced to things that pupils already knew how to do. Yet as my first experience showed, those parts of the example involving rearrangement/simplifying/solving quadratics overloaded my pupils, who were undoubtedly still trying to get to grips with the idea of equation substitution. As my second experience showed, far better to start with what they felt comfortable with, establish it (and in the case of (x+2)^2, get the peripheal & familiar misconceptions out of the way there), and work backwards until we reached what was new. A similar principle also works in KS5 teaching too, especially well, as most questions are rather long. Since questions here have numerous parts and it’s a bit harder to separate them out, I often apply a slightly different but related approach: pre-provide everything that the students already know how to do in the example, so that they can focus on the new content. For example, the Edexcel C2 textbook offers something like this example for binomial expansion approximations: ‘Find the first four terms of (1+8x)^6, and by using a suitable substitution, use your result to find an approximate value to (1.016)^6.’ Yet the only thing that’s new is the last bit – approximations using substitutions. So, when I explained this new process, I simplified the example by providing the familiar part of it for them: ‘The first four terms of (1+8x)^6 are 1 + 48x + 960 x^2 + 10240 x^3. By using these and a suitable substitution, use your result to find an approximate value to (1.016)^6′. By pre-providing the first part of the answer within the example, we instantly honed in on the new content, directed all our attention to that, had lots of time to ask questions about it, and weren’t held up by having to perform the expansion. Interestingly, when students eventually did see an exam-style question, they twigged by themselves the need to expand it first, and happily did so. Similarly, with my year 11s and the simultaneous quadratics, most of the class worked out for later questions (with a bit of discussion with their partner) that they had to rearrange some equations before substituting them. I think this happened because, having been able to focus entirely on the new process during the reverse explanation, the students had already grown quite comfortable with it, and were thus able to apply other parts of their prior knowledge to new and harder questions without much further instruction from me. We naturally want to introduce what’s new first. Yet if this is then followed by lots of other familiar content in order to get to the final answer, we run the risk of cognitive overload in our pupils. As teachers who have mastered the curriculum, this often doesn’t occur to us, so I’m thankful for that original lesson with my year 11s for bringing this strategy back to mind. Either reverse your explanations so more familiar final steps are addressed first, or just pre-provide the familiar steps of an example, so that you can focus pupils’ attention and working memory on what’s new. We felt very nice and snug, the more so since it was so chilly out of doors; indeed out of bed-clothes too, seeing that there was no fire in the room. The more so, I say, because truly to enjoy bodily warmth, some small part of you must be cold, for there is no quality in this world that is not what it is merely by contrast. Nothing exists in itself. and it’s this regular pentagon that sticks in their minds as a ‘pentagon’, leaving them at a loss when faced with naming the unfamiliar shape above. To experts, it’s obvious that the shape above is a pentagon, due to a thorough understanding of pentagons through many experiences; yet to communicate only that “a pentagon is ‘a shape with 5 sides’ that looks like ⬠” means that many learners will link the concept only with what’s been highlighted – the regular pentagon. In this post I’ll look at one easy way to apply variation theory in designing tasks: adding peripheral questions to tasks.